Our trainers here at ReadyTechGo are lucky enough to not only love what they do, but they also get to meet interesting people every day. Every now and then we like to touch base with our clients to see how they are progressing and how they are utilising their new found knowledge. What are your favourite things about technology? My favorite App is Google as it is amazingly up to date and can tell you anything you want to know. Dates, postcodes addresses and facts about anything or anyone you need to know. 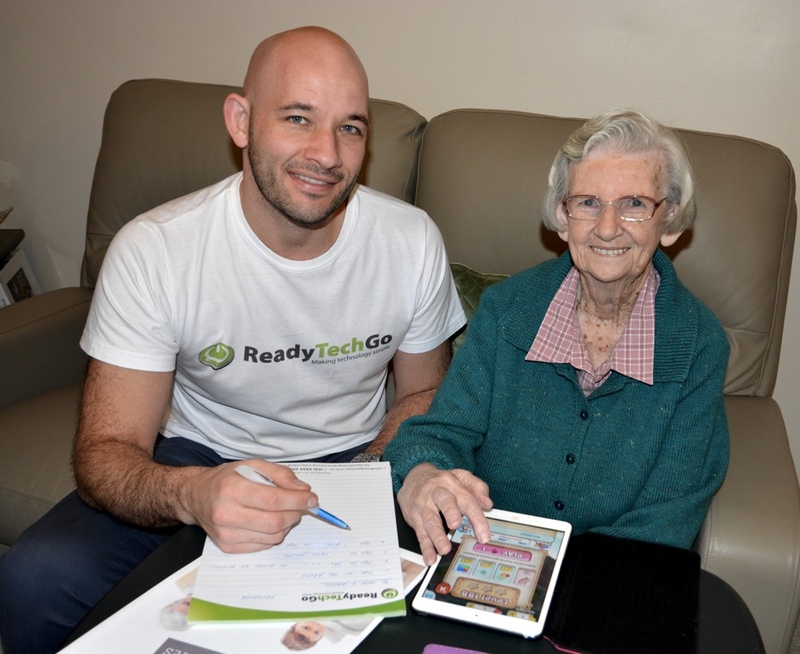 I am so glad I took the challenge and ReadyTechGo have taught me so much about keeping up with the world. Also there are games you can play with locals or people overseas that fill in your time. I also love YouTube, because I love watching Ricky Martin concerts! And of course Ebay, for browsing all of the products. Was there anything you didn’t think would be on Google that surprised you? It knows everything! Even Elvis Presley!!! I thought the new technology wouldn’t be up with the old topics, but it knows all about Elvis and you can read about his entire life story! How has technology enhanced your communication with the world? Well people don’t write letters much anymore, they think it’s easier to email, and now I can email them back! Still, sometimes I write an email to my Grandson who lives in England and he doesn’t answer! They (Grandchildren) do email me pictures of their children that I would never otherwise have met because they live so far away. I also love reading everyone else’s Facebook news! You have played Words with friends for over 3 years now, what do you enjoy about it? You can make new friends over seas, by playing with them, chatting and competing with them. I’ve made two very good friends, one in New York and one in London. We exchange news about our families, and we have now been friends for 3 years! We even email each other! What would you say to people struggling with technology? 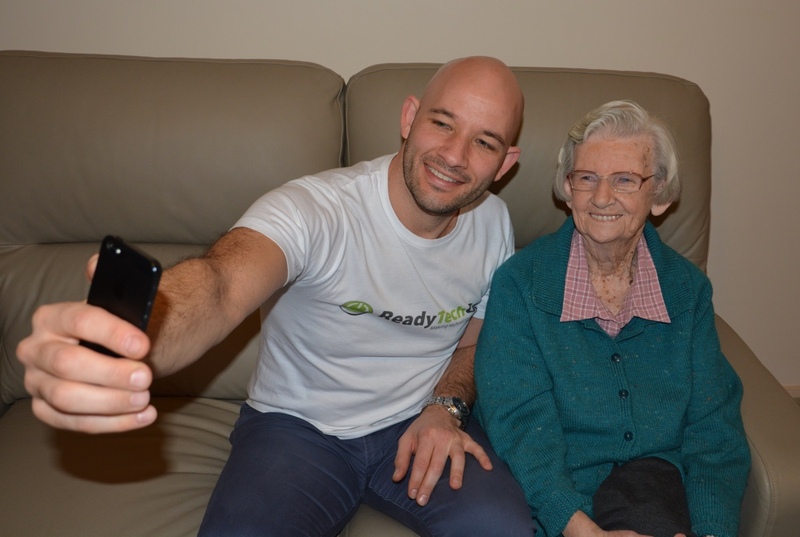 It is daunting to older people to think of being able to deal with Technology, but really it is quite simple. I have a little notebook that I jot everything down in as I learn each new thing. So if I can’t remember all I have to do is just consult my notes. When I was at work and nearly retired, computers were just coming in. I was terrified because I didn’t know if I could cope with them. Luckily I left and didn’t have to worry about learning all of that technology. Later on my son suggested I get an iPhone to communicate with family and friends who live far away. This was the start of me wanting to learn. I contacted ReadyTechGo and they have taught me that it’s not as terrifying as I thought! My daughter says I have a texting relationship with her, because I text her so much. 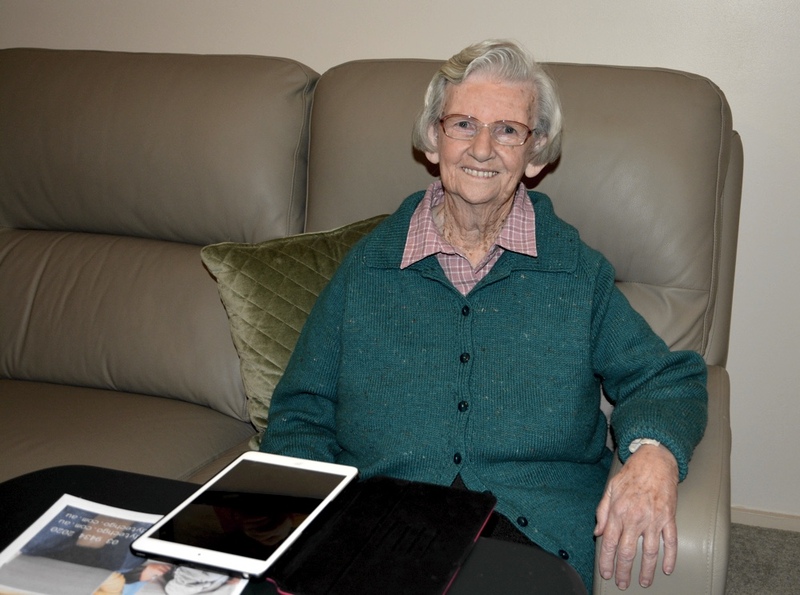 I’m 88, and I love learning because it keeps my mind active. My favourite game is Cupcake Mania. I got my daughter onto this! I’m up to level 330! I’m very competitive, before I get up, I like to check who wants to play a game with me! Age doesn’t stop you, it’s really not as hard as it initially seems! When we wrapped up the interview we asked Pat if there was anything else that she thought may interest our readers. Pat wanted to add that she thinks that some of her friends are even on the popular dating site, Tinder!!! Look out chaps!!! If you would like to tell others about your technology journey then we’d love to hear about it! We can either email you some questions, you can speak to us face to face, or even write your own story that you think others would love to read.